PACE University presents BELA FLECK, bluegrass banjo player. 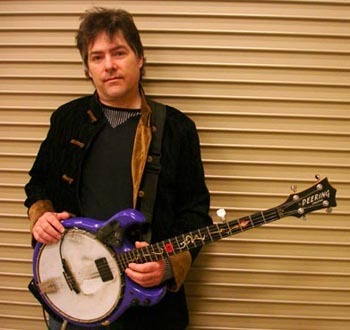 | STREETS OF NEW YORK 411 INC.
PACE University presents BELA FLECK, bluegrass banjo player. Many of the world’s most influential bluegrass banjo players – all with ties to New York State – will unite to perform in a concert that will find the banjo being performed in both conventional and unexpected ways. In performances ranging from solos and duets to full-tilt banjo blowouts with all the players and an acoustic band, the Schimmel stage will range from the traditional backdrop of bluegrass and old-time country music to the more unconventional banjo genres including jazz, classical and rock music. Banjo mastermind, Béla Fleck will be joined by Tony Trischka, Bill Keith, Richie Stearns, Eric Weissberg, Pete Wernick and Noam Pikelny.